Because, hey, time you cannot borrow. Revelstoke: Where the worlds of the living, dead, and extraordinary collide. Brennan Storr, of Revelstoke, British Columbia, a rustic, rugged and alpine town in Western Canada, considers his hometown something of a magical place. But that was not always the case. Brennan was not a believer in much of anything in the spirit world apart from what he could see in front of him and hold in his hand. Slowly but surely he would be converted to a new reality. On the rare occasions when Brennan Storr’s family, on his mother’s side, would get together, they would tell ghost stories about the house where they all grew up. 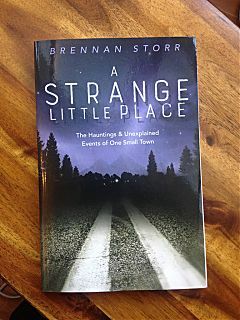 But in his debut book, A Strange Little Place – the haunting and unexplained events of one small town – Brennan reveals, in 33 succinct chapters, the unusual fabric of time and space that permeates Revelstoke. Revelstoke, an internationally recognized destination for winter sports and becoming increasingly popular in the spring and summer for its cultural and outdoor activities, harbours something of a dark secret. If the examples within this 240 page paperback hold any greater meaning, it could be that this little town lies in the focal point or nexus of some mysterious force. The history and progress of Revelstoke plays a very important role in this tale and Brennan thoroughly documents this relationship while unveiling 70 years of the town’s paranormal fabric. In A Strange Little Place Brennan offers several explanations for these odd events. There are a lot of unusual phenomenon here. There may be some inexplicable connection that links these events together. Clearly, Revelstoke has a quantity of spiritual baggage because of its very colourful and, initially, optimistic future. Tales of missing time, shadow people, spectral light and sound, UFOs and ghosts spill from the pages in a jaunty kind of way that will leave you questioning your own reality and looking over your shoulder a little more often. Brennan’s style is at once charming, folksy then gritty with a 1940’s gum shoe sensibility. Perhaps coming from a similar upbringing to the author, I found his stories of the unexplained resonated with me. I was left reanalyzing some of my own experiences. I was opening chapters of my own life that I had often dismissed as “false memory”. I liked Brennan’s book because it made me think about the world around me – and had me squinting more objectively at things I might have not given a second look. 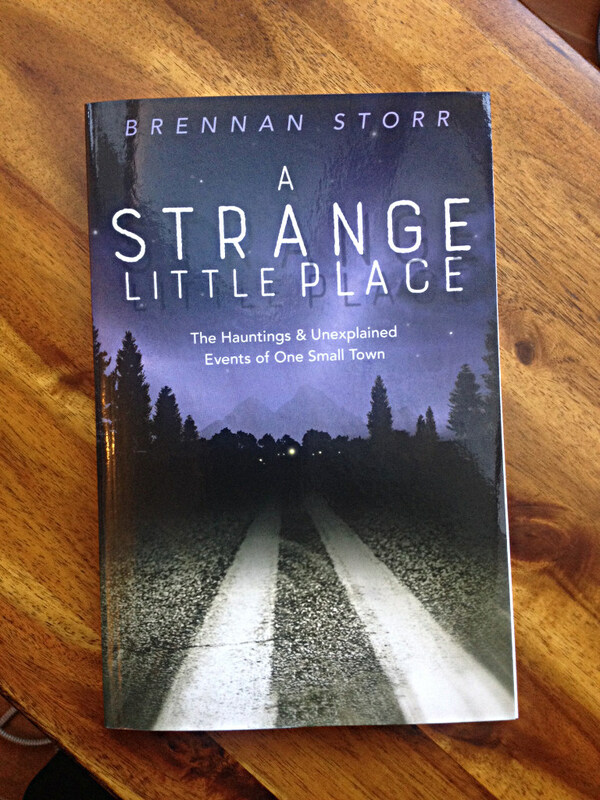 A Strange Little Place is a frisky and fast paced read on a subject that I have always been fascinated with. These stories left me wanting more and asking more questions. 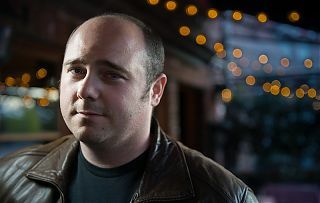 Brennan Storr, now a Victoria area resident, is an active story teller, researcher and journalist who has written on many subjects including pop culture, pro wrestling, his own itinerant life and his fascination with dark places. 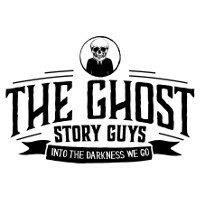 He works in a haunted office building in one of the most haunted cities in North America. His book is readily available on Amazon online (in Canada) and a growing number of small book stores in Western Canada. You can meet Brennan in person and buy an autographed copy or two of his book at Chapter’s book store, 1212 Douglas St – downtown Victoria on Friday, September 30 from 2 to 4 pm. Colin Newell is a Victoria area resident and long time writer of non-scary stories about coffee and pop culture.